The Swedish Studbook (ASVH) welcomed guests to a unique breeders’ meeting at the Thomas Mack Arena on Friday April 17, 2009. The event kicked off at 8:00 a.m. sharp during the Rolex FEI World Cup Finals in Las Vegas. The ASVH hoped to create an inspiring experience for breeders across borders. Best of Three Worlds was chosen for the theme for this meeting as international guests arrived from Sweden, the Netherlands, and, of course, the U.S.A. 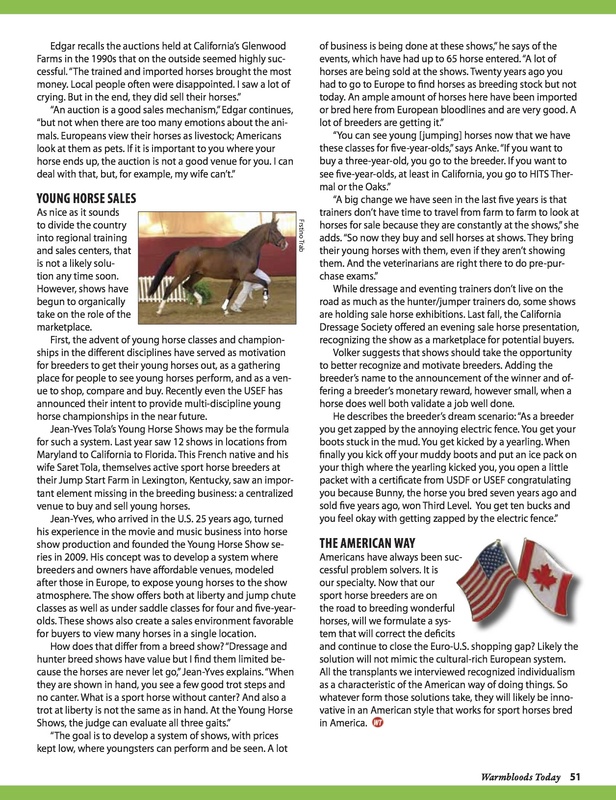 The vice president of the studbook’s Stallion Committee, Jan Ove Olsson, represented the ASVH in Las Vegas. Both dressage and jumping breeders found topics and speakers of interest. 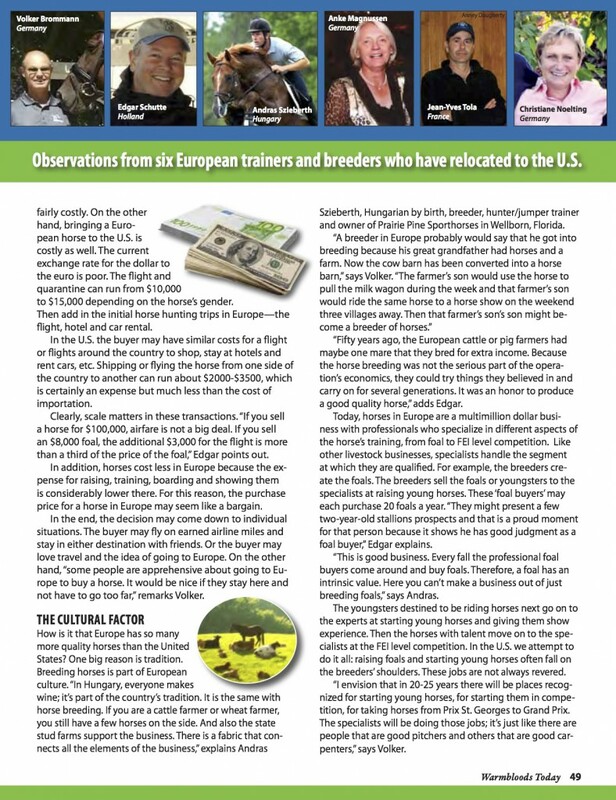 Subjects included the development of breeding internationally, relationships between studbooks and countries, management of top horses in breeding and cooperation between breeders and riders. Top riders, trainers and owners from around the world confirmed their attendance by being at the meeting. The commercial issues of the breeding world also was discussed, including the importance of export, active efforts in marketing and establishing contacts. The sessions were interactive with attendees invited to ask questions of the speakers. As special invited guest speakers the Royal Dutch Warmblood Studbook (KWPN) and the Swedish Warmblood Association of North America (SWANA) will share information about their systems and organizations. 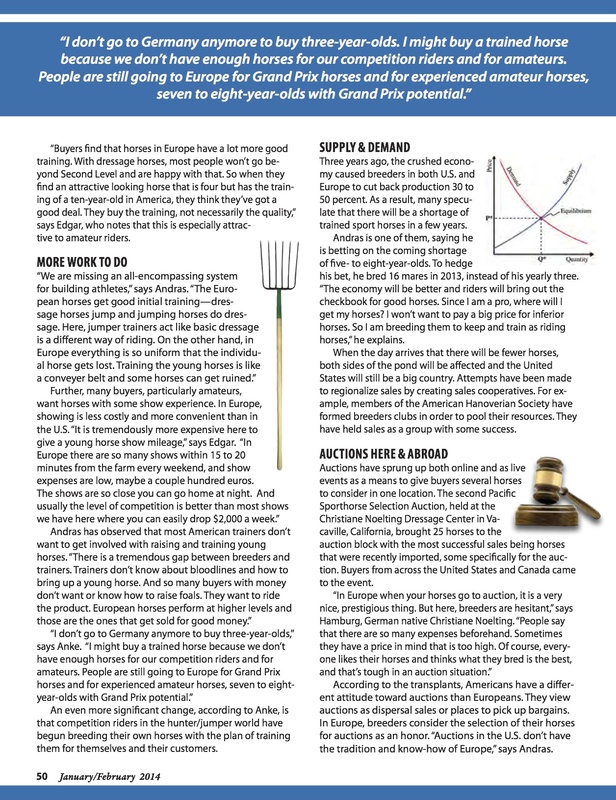 Points of interest included, the future development of the American sporthorse breeding market and how to encourage young equestrians to become breeders. 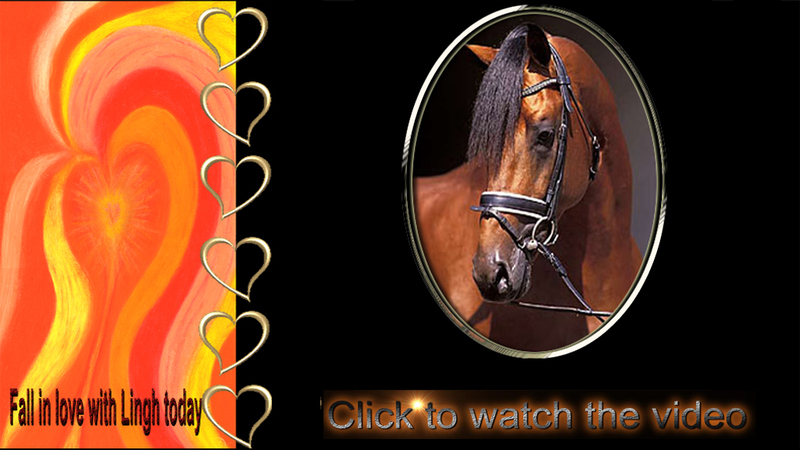 As a special guest, Flyinge, the Swedish National Stud, was presented. The newly appointed breeding manager, Karl-Henrik Heimdahl, shared Flyinge’s vision of the future. Flyinge also participated in the hosting of the annual meeting of the 2009 WBSFH and is proud to take an active role in international breeding. Meeting attendees had a chance to win a County Saddle, the saddle recommended by no-one less than the winner of the 2005 Las Vegas World Cup Grand Prix–Lingh himself. In addition, a breeding to Briar 899 was donated by the stallion’s breeder and owner Hans-Yngve Göransson. In 2009 Briar was a six-time Swedish National Champion and the winner of the Grand Prix Freestyle at the 2005 CDIO Aachen. Guests stopped by booth 405 in the Cox Pavillion in the Thomas Mack Center and registered to win. Other goodies included limited edition Lingh mugs with Arnd Brockhorst’s famous photogragh of the bay stallion, available for $16.95. 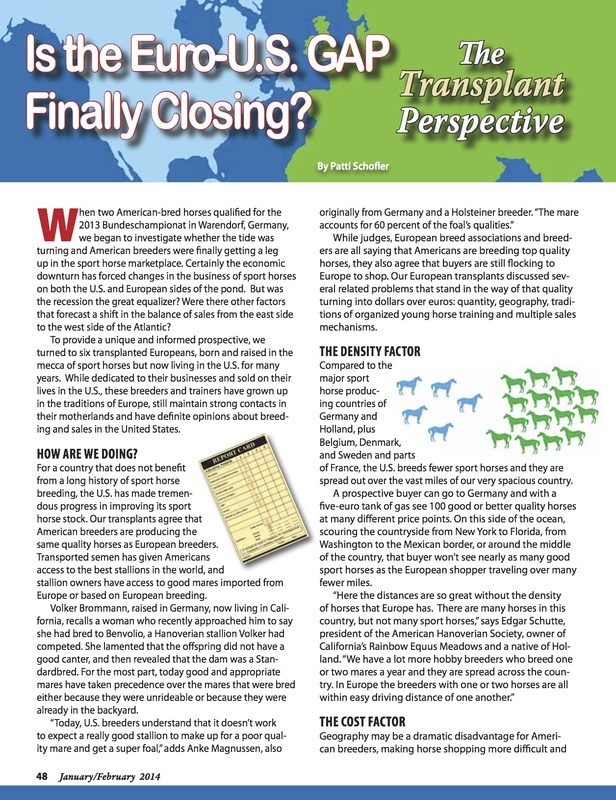 Breeding has become an essential part of the modern equestrian culture and the 2009 ASVH Breeders’ Meeting showcased the best of the three worlds, and hopefully will create a new way of including breeders in international equestrian events in the future.